Random Anny .Com: Gotta Secret? Don't tell Kanye! Gotta Secret? Don't tell Kanye! So I heard on the radio yesterday that Kanye was giving a radio interview and the dj was going on and on about Drake. "I love Drake! Drake is the best! Drake came out of nowhere huh?" Until Kanye couldn't take it anymore and said he is currently recording a new album in Hawaii. He said it was supposed to be a secret but couldn't hold it in any longer. Oh man, that is great! 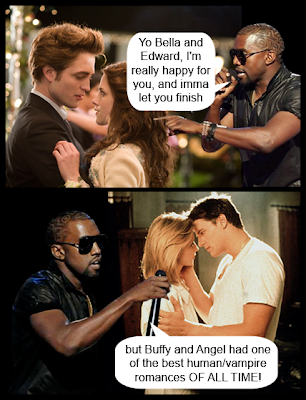 Kanye is never going to live that down, ever.